Getting overtime is bittersweet, right? The extra money's great, but you're already tired and ready to go home. When you need to work late, make sure you're wearing these Wrangler Riggs Men's Vintage Indigo 3W020 VI Durashield® Carpenter Jeans. They're made to wor ... (see full details) (see specifications) #WRG3W020VI. Getting overtime is bittersweet, right? The extra money's great, but you're already tired and ready to go home. When you need to work late, make sure you're wearing these Wrangler Riggs Men's Vintage Indigo 3W020 VI Durashield® Carpenter Jeans. They're made to work overtime. These relaxed-fit jeans with a high rise are made with Room2Move® technology. This means they have an action-gusseted crotch and a better fit in the seat, thigh, knee, and bottom leg opening for a comfortable fit throughout the day (even overtime). They're made to fit over your boots. They're built tough, too, with Durashield® denim, made of fibers that move during wear and washing to reduce abrasion and protect the denim color. You only get this exclusive denim with Riggs workwear. Triple-needle stitching, a #5 YKK zipper, and 3/4-inch X 2 1/4-inch belt loops that stand up to sturdy work belts add more durability to these hardworking work pants. Designed for work, these men's pants have plenty of onboard storage. They're made with an oversized watch pocket and 13-inch deep front pockets with 7.25-ounce white pocketing. The right front pocket features a patented tape measure reinforcement. There are a right side hammer loop and a left-side tool pocket. 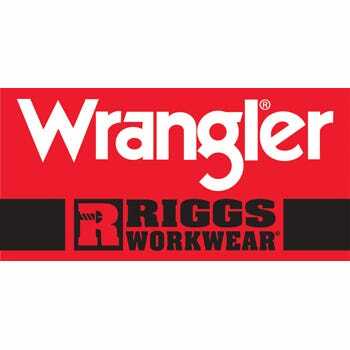 Long-lasting Cordura-lined back pockets add to the durability of this Wrangler Riggs style. Slide into a pair of Wrangler Riggs Men's Vintage Indigo 3W020 VI Durashield® Carpenter Jeans in the morning, and when the day runs long, you'll be ready. We have them right here at Working Person's Store. Order yours today! 1) The gusseted crotch is probably the main reason, they seem to add several months of life to the jeans as they age and the seams start to weaken. 2) The reinforced tape measure spot on the pocket definitely keeps the pocket hem from wearing out, I usually have my pocket knife with me always and I don't fray the pocket edges of my jeans anymore. 3) They are roomier than most brands. 4) The Cordura lined back pockets allow you to keep tools in pockets without the worry of tearing/wearing out. 5) The only neutral is; I would like to see a tool pocket on the hammer loop side, most times I don't keep a hammer in my loop and would like to have another tool pocket available for phone, bubble level, etc. Wrangler's Riggs line has been my favorite line of jeans ever since I tried my first pair, which was one of these. Back then, I was carrying a few extra pounds, and working in a home improvement warehouse meant I was bending over a lot, climbing up and down rolling warehouse ladders, frequently with boxes in my arms, and squatting and sometimes crawling under racks. I needed something loose and comfortable. These really filled the bill. I wore them and wore them until I started to wear through them, which took much longer than I figured it would take, and even then, I stopped wearing them to work and started wearing them for yardwork. I STILL wear them for yardwork, years later, even though I've lost a bunch of weight (I cinch them) and the bottoms of the legs were worn through, so I cut them off at about ankle height (my wife can't stand them, calls them my "Jethro pants"). About the only thing I didn't like about them was the hammer loop, which I think could easily be replaced with a more useful pocket, but hey, if you need to carry hammers, this does the trick. These days, I prefer a more regular fit jean from the Riggs line, the 3WO50, but these were my introduction to the line and they sold me on Riggs jeans. They'll probably sell you, too. I actually picked this style of jeans up for my husband on accident... good thing I did! These have turned out to be the most durable work pants we have found in over 15 years in our trade. The plumbing trade can be a very dirty one! But these jeans not only hold up great to the beating they take daily, but they also wash well. I recommend these to all our employees. Wrangler Riggs Jeans: Men's Vintage Indigo 3W020 VI Durashield® Carpenter Jeans is being added to your cart.